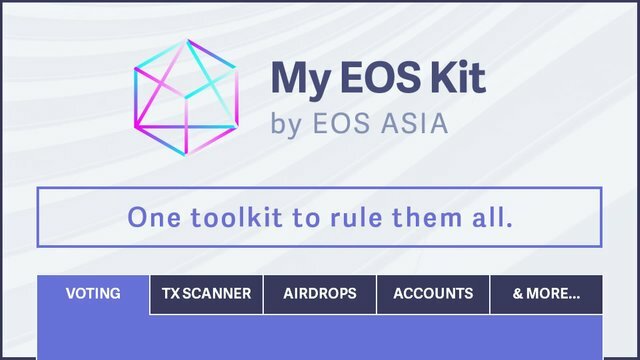 EOS Asia achievements & MEK (MyEOSKit) your one-stop shop for everything EOS! We created the EOSGo BP portal for the EOSGo team. The portal is used by all block producer and block producer candidates, and many users visit the site to learn more about BPs before they vote. We started the first code academy for the EOS blockchain, as well as publishing the first tutorial on how to build a small DApp on the EOSIO platform. We hosted some of the largest Hackatons in Asia in collaboration with SegmentFault, one of the largest developer communities in China. We started the development of 2 of the most awaited DApps in EOS EOS GEMS and TXT (Traffic Exchange Token) and were nominated for the “TOP DApps for EOS” award. We are excited to airdrop these tokens to EOS token holders this year. We bridged the gap between east and west EOS BPs and communities and were listed in EOS acknowledgments for the effort. We were also one of the core members involved in the EOS launch. We put in countless hours and sleepless nights in order to ensure that the mainnet was launched so we could change the world. We’ve joined your ranks as one of the original TOP 21 Block Producers of the EOS mainnet. We are so happy to have such a strong and engaged community supporting us, and that the greater EOS community at large has recognized the effort we have put forth. Here's a list of some of the organizations and BPs that have recommended us as a BP that deserves your vote. MyEOSKit is the answer to a strong need we've seen. The purpose of MyEOSKit is to serve as a one-stop shop for everything EOS. You'll be able to use it as a Block Explorer, to Monitor the Network, to vote, create accounts, manage vote proxies, search and monitor accounts and wallet balances/transactions/blocks/public keys, and even bid on names in the auction market. While these are already a solid set of features, this is only the beginning of what MEK will be in the near future. Everyone is familiar with MyEtherWallet (aka MEW), and everyone feels trust in that system. We want to give EOS holders the same degree of trust with MyEOSKit. The original work for the “Account Tools” section was based on open-sourced project from Genereos, they are an exceptional EOS Block Producer Candidate based in Australia. Their portal is very well trusted and has been used by the community with great success. EOS Asia wants to thank you, as we appreciate each and every one of you for giving us the strength to make EOS the best DApp platform in the world. This is just the beginning and we want to show that choosing us is choosing you. Nice MyEOSKit, is there a feature where I can see all the tokens I have in the account? Not directly but you can see them as incoming transfers. Airdrops are the low hanging fruits in crypto, register and get free money, go to https://coinswitch.co/airdrop.